We have colder days now and it will get even colder when it will be officially winter season. Although we are still in our fall season, we have days or nights that snow is falling. I love cold weather before and wishing that I will experience it, as from where I grew up we only have summer and rainy days. I never experienced being in the 30F degrees at all, until I married and moved in the western country. Since then, I have to deal with four seasons and that includes freezing months. I can’t stand not having some kind of heated gloves while outside playing with my son with a snow or try to sled on the stiff hills in the school right next to our home. It would be great to have heated gloves and heated socks on this colder weather to help me keep warm and cozy. I do not like to be cold, I would really like a pair of these gloves when I am out playing with my children. 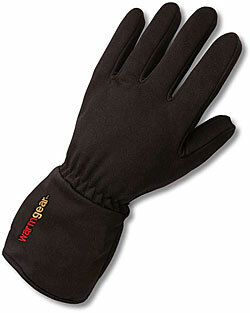 I need some pair of these heated gloves, I am always cold. n fact we went to the store today and it was so cold! I bet if I lived up north I would have to have these, we are in Florida and still wearing shorts so unfortunately they are not needed here. I do not blame you if you want a heated glove. I am sure the winter is unbelievable this time of the year in your state. Oh I want these too! It's getting colder and colder here in Texas and I want my hands to feel warm and comfortable.